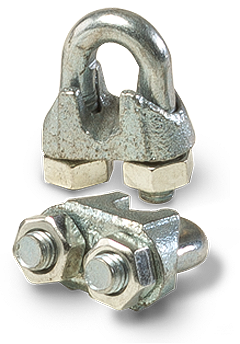 drop-forged wire rope clips. Sizes available. 1/4” 3/8”.